Myth 1: Every wheel is the same. One of the most common roulette myths is the belief that all of the roulette wheels are exactly the same, but they're really not. For example, there are American and European wheels, both of which are different. The European version is the better option when playing roulette, though, because you will have better odds at success with it. This is due to the fact that the European wheel's house advantage is only 2.7%, whereas the American version has a house advantage of 5.25%. So make sure to only play European roulette to make sure that the odds are always in your favor. Myth 2: No roulette spin is random. The second common roulette myth is that the previous spins' history affects the succeeding spin's outcome. For example, when the ball drops onto red ten times straight, players tend to believe that there is a higher chance that black will come up next. However, this is simply not true. Regardless of whether or not the ball drops onto red 20 or 30 times straight, the odds still remain to be 50/50. The history of previous spins is irrelevant and does not predict future spins because each spin is considered to be independent of the rest. Some players also love betting 'sleeping numbers', which are basically the numbers that haven't been hit for a while. This way of betting is illogical, though, because on each spin, that number's chances of coming up still remains to be 1 from 36. Myth 3: Roulette can be beaten with math. 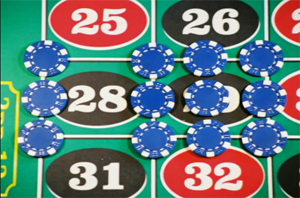 The third roulette myth is that people can buy mathematical systems in order to consistently beat the roulette game. This is also not true. Mathematical systems cannot work because there's no reliable data that can be analyzed. It is impossible to have mathematical systems when there is no past data. 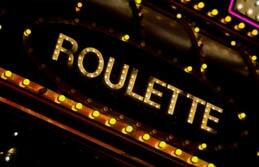 The game of roulette is based purely and entirely on chance. Systems which claim to be able to make money consistently from games based on chance is therefore simply a contradiction. Well, not falling for any of the roulette myths written above is a great start! 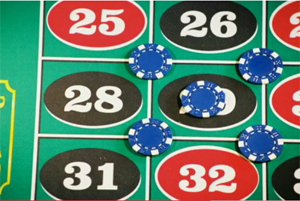 Even though the game of roulette is based completely on chance, you can still take some steps in order to ensure that the odds are on your side, though. Just find a variety of tips and strategies for roulette online, as well several ways that can increase your own profit. Good luck!